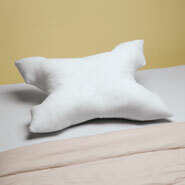 Machine washable, polyester/cotton C-PAP pillowcase is designed to fit sleep apnea pillow. 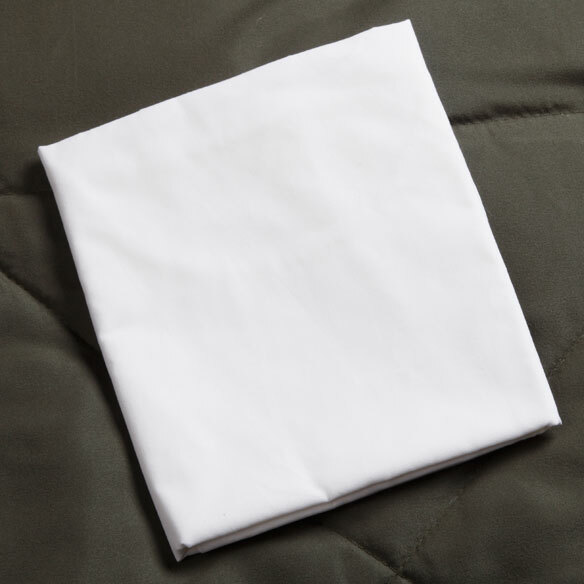 Sleep apnea pillowcase is 23" x 18". Made in USA. Designed to fit the pillow well. Anything that can help my hubby sleep better is good for me, too! The pillow case is designed to fit the pillow just right. It has a seamed end to fit the notch at either end of the pillow. The open end is also cut to fit the notch in the pillow so you can put the pillow in from either direction and the case doesn't get in the way of the pillow notch. Loved the Fact The Pillowcase , was Shaped for the Pillow ! This is just what every C-PAP user should have. It's been about one year since I started using the C-PAP machine; but I have struggles with it every day since. I'm a side-sleeper, if that describes you - than this pillow is for you too. It is wonderful and makes my sleep reach a much higher quality, with fewer interruptions. Highly recommend! Keep hoses of BiPap machine in place, makes for a more comfortable sleep. Seems to prevent leaking as well. It fit the pillow perfectly. The cover does not seal on the pillow leaving the one end open. Not what I expected for the price charged both in quality and design. Purchased apnea pillow a couple of years ago, but could not get an extra pillowcase at that time as it was not available. Husband LOVES the pillow! How does these pillows help me? BEST ANSWER: Thank you for your question. 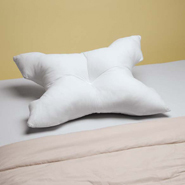 This is a modern cpap pillow that helps keep C-PAP or Bi-PAP mask in place, preventing leaks and pressure points. We hope this information will be of help to you. I feel it helps the tube stay put easier for me and it is comfortable to use . is it shaped to fit cpap pillow? BEST ANSWER: Thank you for your question. Yes it is. We hope this information will be of help to you. is this an Anti-Allergen pillow case for the pillow? BEST ANSWER: Thank you for your question. This is not Anti-Allergen as it is made of polyester and cotton.We hope this information will be of help to you.